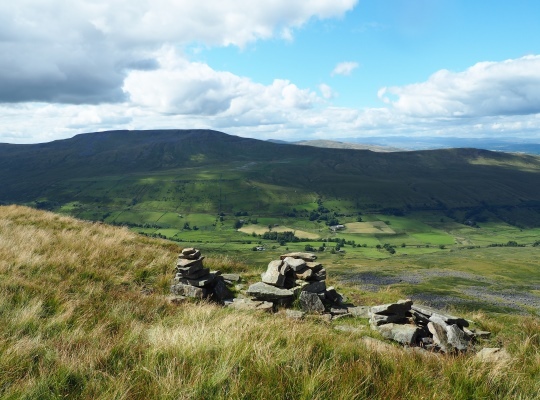 Also known as Gregory Chapel, Archy Styrigg is the central summit of three fells that together form the eastern side of the valley of Mallerstang. As with High Seat to the north and Hugh Seat to the south-east, Archy Styrigg is situated on the main Pennine watershed. 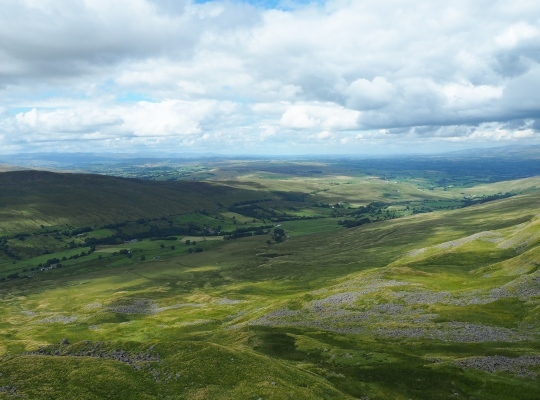 In addition the old boundary between Westmorland and the North Riding, which today equates to the modern border between Cumbria and North Yorkshire, runs across the top of the fell. Between Archy Styrigg and Hugh Seat lies a peaty depression where the source of the River Eden can be found. On the northern side of this saddle is Long Gill Head where a modest gritstone edge overlooks the wild looking valley of Little Sled Dale. 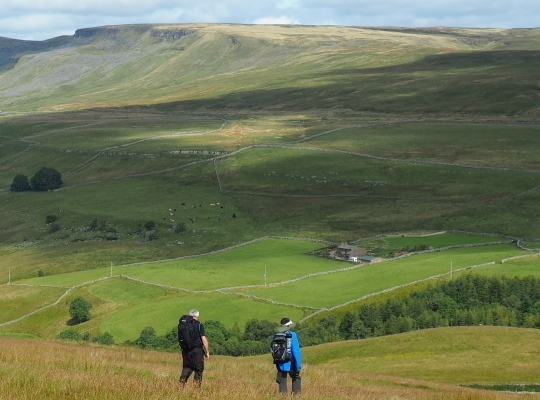 Long Gill itself is, via Little Sleddale Beck and Birkdale Beck, one of the sources the River Swale. Just above Long Gill Head is a tall prominent stone pillar near to a stone shelter. At the time of writing (March 2016) this pillar is erroneously named as the summit on Wikipedia. Unless you happen to visit the summit in thick fog anyone with any sense will see that this is clearly not the case. 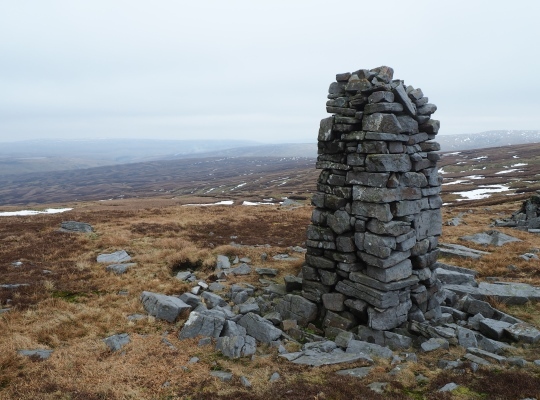 The actual summit is further to the north-west and is marked by a small pile of stones near to a cairn that has the feel of being much older. My friend and I christened this more characterful cairn ‘Archy’ on our first visit. 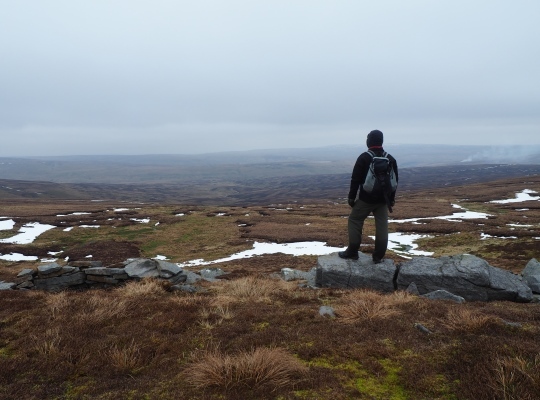 It was one of the few highlights of a walk that was undertaken in strong winds, heavier rain and even thicker fog. ‘Archy’ seems to have taken a bit of a battering since then and is no longer quite so shapely. On subsequent visits I have however been able to enjoy the superb long distance views that the summit offers. 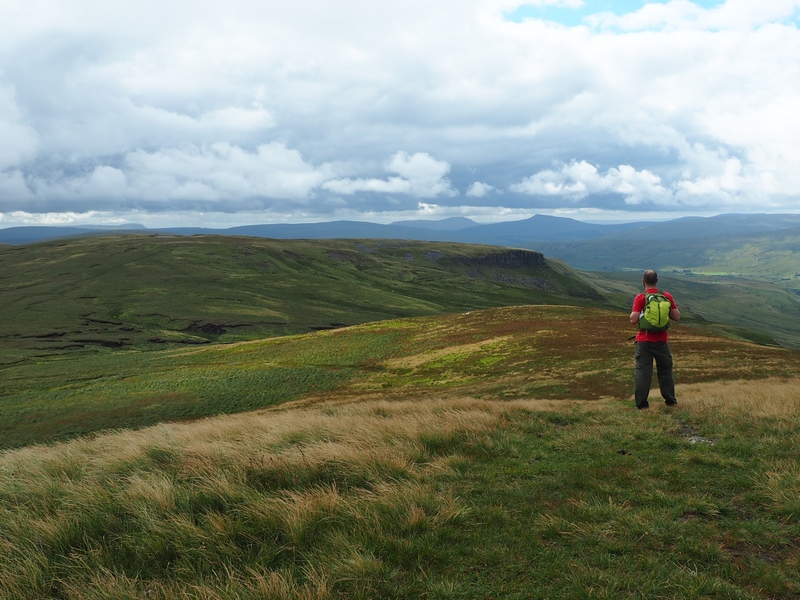 Much more exciting views are to be had though from the edges and scar that are the chief attraction of Archy Styrigg. The first of these, High Loven Scar, is situated to the west of the summit and is worth a detour for the view north along the ‘edge’ to High Seat which from here looks quite superb. 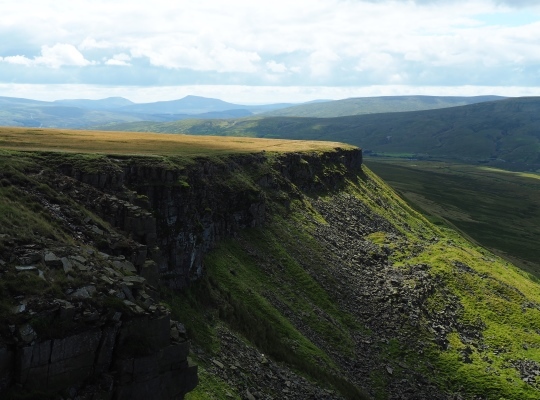 Descending gradually southwards there is next a super grassy path above Hangingstone Scar where there are some simply stunning views of Mallerstang and out into the Eden valley proper. 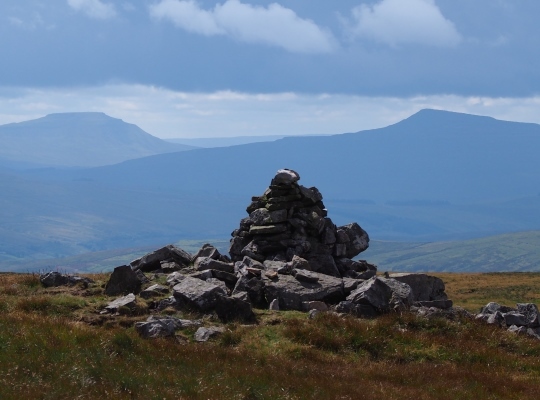 Another man made object of interest that is encountered on this path are the three cairns, now also somewhat diminished, that are known as the Three Men of Mallerstang. 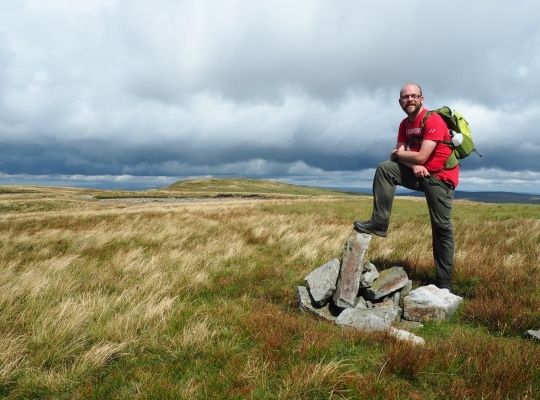 Thanks to ‘Archy’ and the magnificent views from Hangingstone Scar, I’d class Archy Styigg as one of my favourites of the lesser known fells in the Yorkshire Dales.